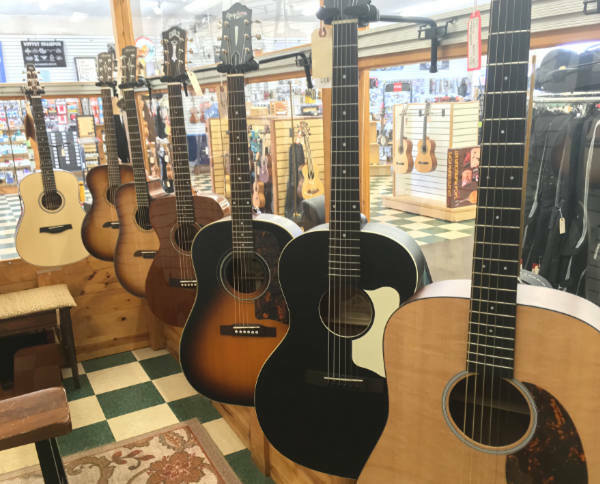 We sell a wide variety of acoustic and electric guitars, bass guitars, banjos, mandolins, ukuleles and more, some of which are featured here. All Seagull guitars are made in Canada from start to finish, from sustainably sourced wood. Seagull guitars features pressure-tested compound curve solid tops of aged Cedar or Spruce, sitka spruce bracing, double function truss rods, integrated neck set for stable action, and reverse-grain headstock design for strength. Every Art & Lutherie acoustic guitar is handcrafted in the small town of Princeville, Québec Canada, and is made with the painstaking attention to tone, detail and authentic craftsmanship. The Canadian tone woods used in the Art & Lutherie line possess excellent tonal qualities--solid Sitka spruce tops, wild cherry back and sides and silver leaf maple necks. Art & Lutherie is committed to sustainably sourcing all of its wood and strives to reduce our overall environmental impact. Leo Fender and George Fullerton designed some of the first mass-produced solid-body guitars at Fender. They founded G&L with Dale Hyatt in the 1970s to perfect that vision and design. Although G&L instruments are not widely distributed, they are highly regarded by musicians and collectors. Their small scale of production allows for better custom options and higher quality. Basically, you'll always get a better guitar for the money! Known for affordable price and high quality, Ibanez offers instruments for every level of player. Their original JEM, JS, RG and S models set the standard when other companies were resting on their laurels. Ibanez is also one of the top selling bass guitar companies in the world. Breedlove specializes in custom, fingerstyle guitars that feature graduated tops and an innovative bridge truss system. Their guitars are lightweight, responsive, and impeccably crafted. From the Yairi Masterworks Series to the entry level Artist Series, Alvarez Guitars represents the best value in guitars available. Yvonne de Villiers founded Luna Guitars to create a line of instruments that would be both beautifully designed and comfortable to play for musicians of all ages. In 1956, a small company from New Jersey invented an entirely new guitar. Its “signature tone” changed music forever. Now Danelectro® is back with more tone and better playability than ever. 100% set up in California, these new ­Danelectros will astound you! Music Man, owned by Ernie Ball, began with design assistance by Leo Fender and Sterling Ball. Later it became known for making “players” guitars with quick change pickup assemblies, low noise pickup designs, 5 and 6 bolt necks and most importantly, consistently high quality fit and finish. 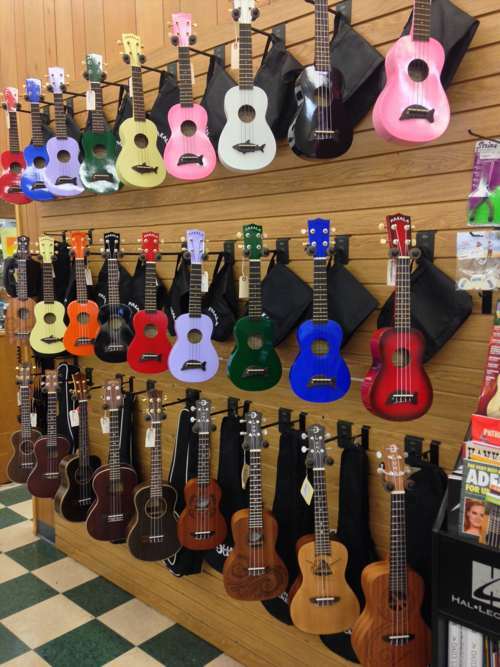 They have also recently introduced the affordable Sterling line of instruments. We also carry used guitars of various brands. Penguin, Amahi, Kohala, and Lanikai.